Single strap, classic all white Mary Jane style crib crawler shoes for baby girls. 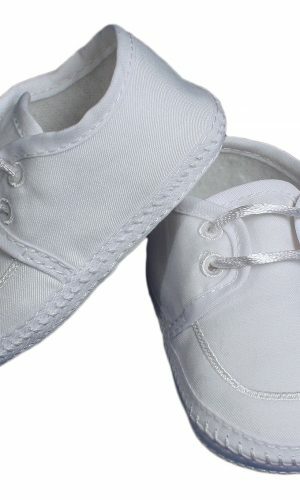 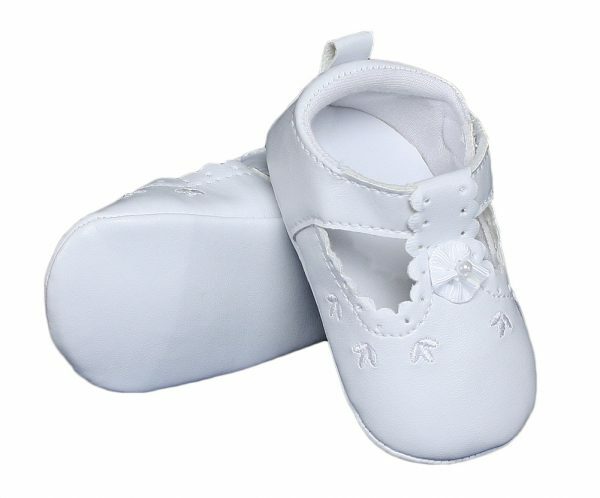 Classic all white Mary Jane style crib crawler shoes for baby girls. 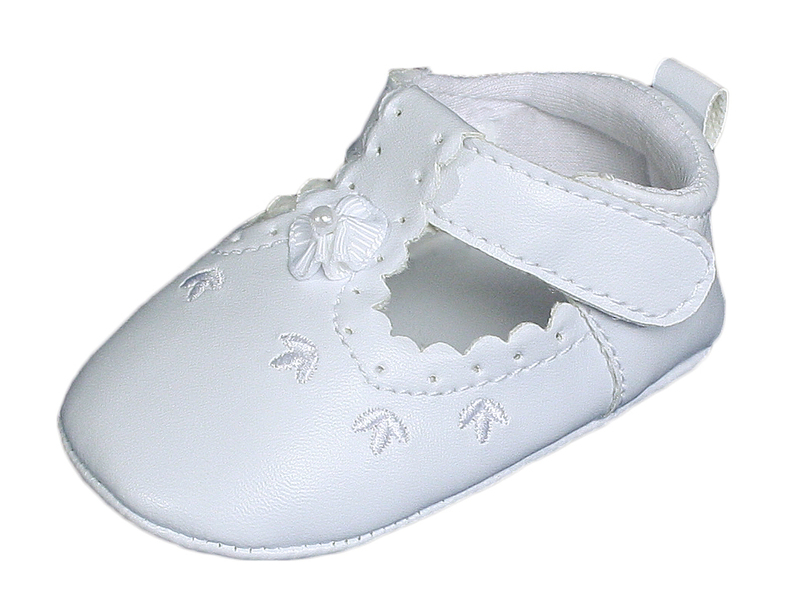 Beautiful Mary Jane style with perforation accents along the tongue and scalloped edging on the top of the foot. 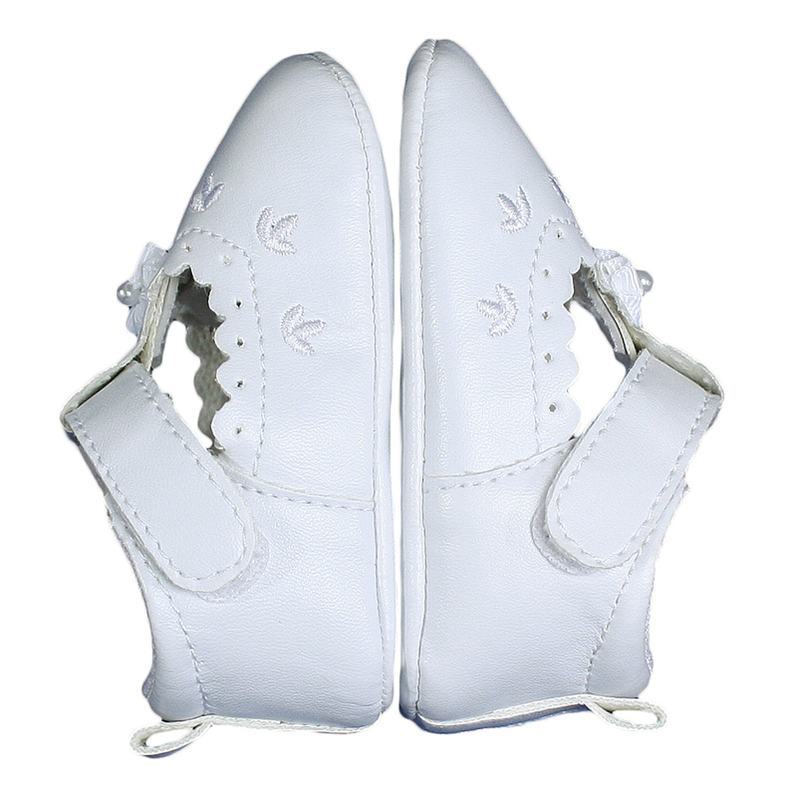 High quality vegan-friendly 100% Synthetic Leather upper and sole for style and comfort. Soft fabric lined inside and insole add additional comfort on your babies delicate foot. 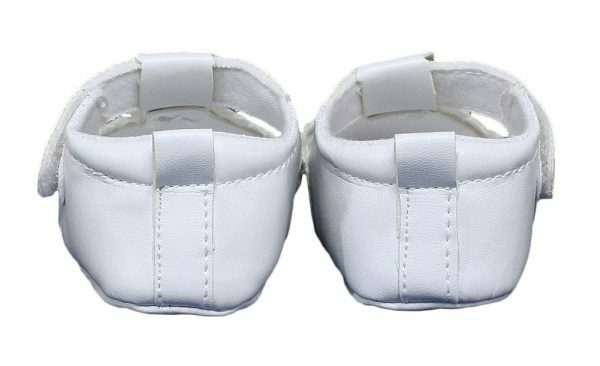 Single Velcro strap makes putting these shoes on a breeze and provides a better overall fit to eliminate shoes getting kicked off or falling off. 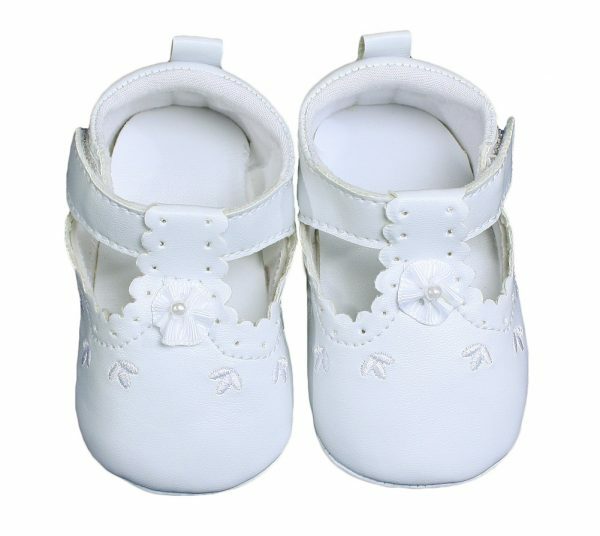 Pair with any of our Christening outfits for an amazing match. 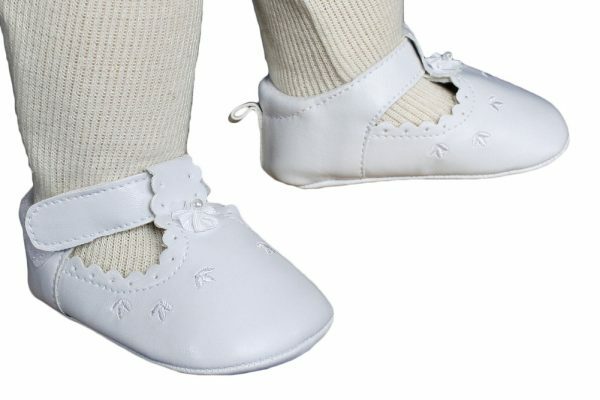 Perfect for Christening, baptism, blessings, crib use, daily use, or any other occasion! 1 – Length: 3 15/16", 2 – Length: 4", 3 – Length: 4 1/4", 4 – Length: 4 1/2"